This morning, Sony made the Xperia Tablet Z official in Japan. 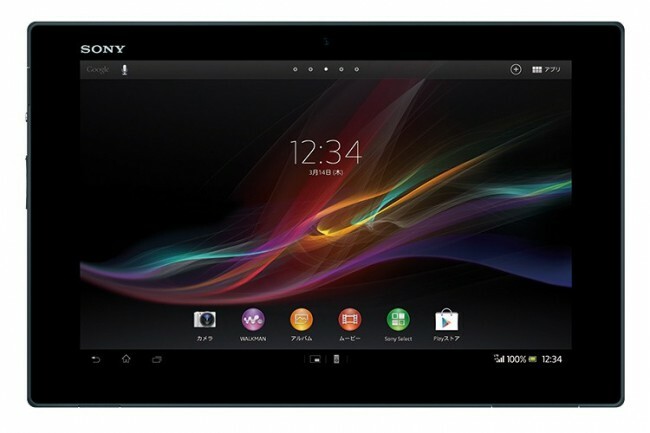 The tablet, whose design mimics that of the Xperia smartphone lineup, packs a serious punch in about every category. For starters, the Tablet Z measures in at just 6.9mm thick, supports a gorgeous 10.1″ 1,920 x 1,200 display, and is powered by a 1.5GHz Qualcomm quad-core processor. Other specs include NFC, 32GB of storage, micro-SD card slot, 2GB of RAM, and a super fancy 8.1 Exmor R camera on its backside. As for availability, all that we know now is that it should hit Japanese shores (enter Godzilla reference) sometime in the Spring of this year. For now, there is no word on a U.S. launch date.